I have the same feeling, that is why I named Fantasy scenario, but is it to much to ask for simple solutions? You know... the only guy that i feel can make a good cross more often than not is Bale. The other guys are SHOCKINGLY bad at making crosses. They miss open guys by a mile. It wouldn't kill us to have a fullback that can consistently cross the ball either. Is Beckham ready for a return? I was never too impressed with him, but man could he pass (and shoot). He could hit a target from 100 metres! I think part of our problem Sports is we are not positioned to take a cross! Opposition always plugs the middle because we can only progress on sides, so a cross has to be perfect to work. Also James, Jese, Isco, and Benz are not the best in air so unless cross is direct to Ronaldo (and when was the last time you found him in centre ready for cross) or Bale (and when was the last time he played! ), it won't work. I actually saw guys regularly open in the box the last few games... even the atleti one. Atleti defenders rightly cheated on the inside pass because they felt they didn't have to be perfect in covering once the ball went wide because the crosses wouldn't be very good. They got caught a couple of times but we couldn't finish. Our crosses this last game were absolutely atrocious lol. I'd also add that Benz has become pretty damn respectable in the air. You get it on his head and he'll put it away more often than not. He's not a leaper so he's no going to soar over people... but he does get open. You just need to get the cross to him accurately since he can't jump to help the cross. @hala... you've become a Matuidi fan i see. You must regularly watch PSG. The guy is tireless. He may not be super effective every game, but he's going to bring it every single time... so you can ink a minimum level no matter what happens. We lack that on this team. I actually like this team except Hazard. Yes, I think he honestly would work hard off the ball but he seems to fade away when he really needs to take responsibility on a match. So His List is the best of the bunch? 1- GK, whether we buy de gea and sell navas, or we don't, anything works. 2- Another CB, so i absolutely don't mind marquinhos or laporta, but i would prefer a cheaper alternative like that Eric Bailly from villarreal because he is athletic and similar to pepe and has stopped messi in a match i saw, also i think he will surprise many, and also that marquinhos and laporta will create disharmony by wanting to start every game etc. 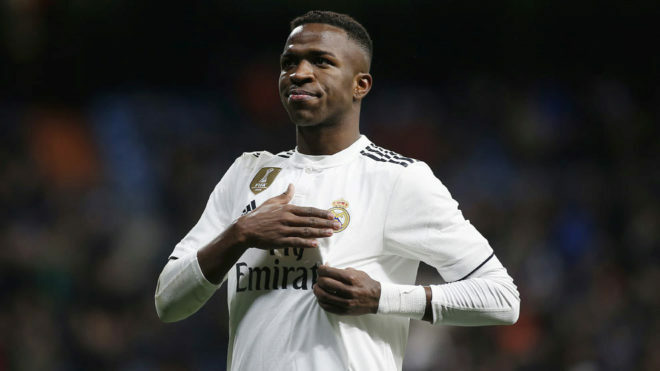 3- LB needs reinforcement and i think anything works, they are currently looking at rodriguez and i think he provides good defensive alternative. 4- Our midfield is okay, but we have to start casimero, and the other 2 stops should be between kroos, modric, kovacic and isco. depending on how attacking and defensive we want to be. 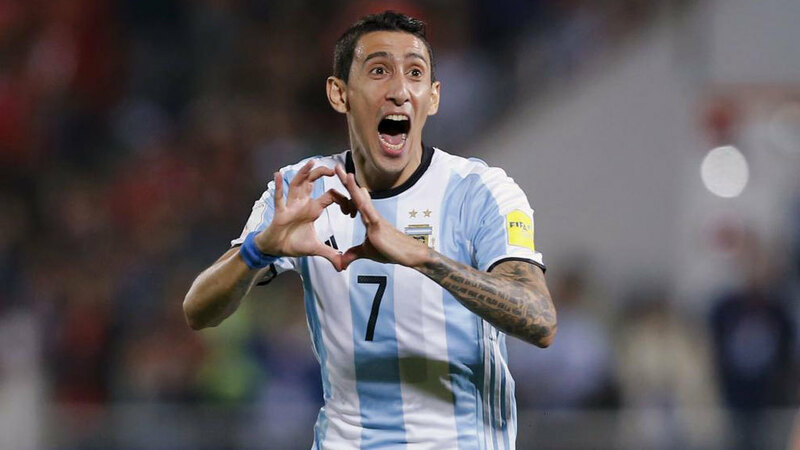 perhaps if we sell kroos then we need a CM who can cover left side or marcelo side, kinda what di maria was doing, carlo was smart he know how to provide the balance and cover the weaknesses, someone mentioned matuidi, i like him and he works as he is fast and tireless. 5- Attack, if ronaldo is leaving, then we need Either Neymar or Reus, and we need another CF which i think aubameyang will work as he can play in other positions too. Either way i want us to sign the next big thing in winger position, this kid ousmane dembele is making a lot of noise as being the next ronaldo, as always i watched vs videos and he looks good, can dribble, completely two footed, i still don't know what is his natural foot, good pace, technique and passing, has 9 goals and 3 assists in 17 ligue 1 which is great for an 18 year old. So i gave a lot of i dont minds etc, but time to make a final decisions and i did. Do whatever to get Dybala while Madrid can and not after he goes to Barcelona. Lol, Zidane has said what! 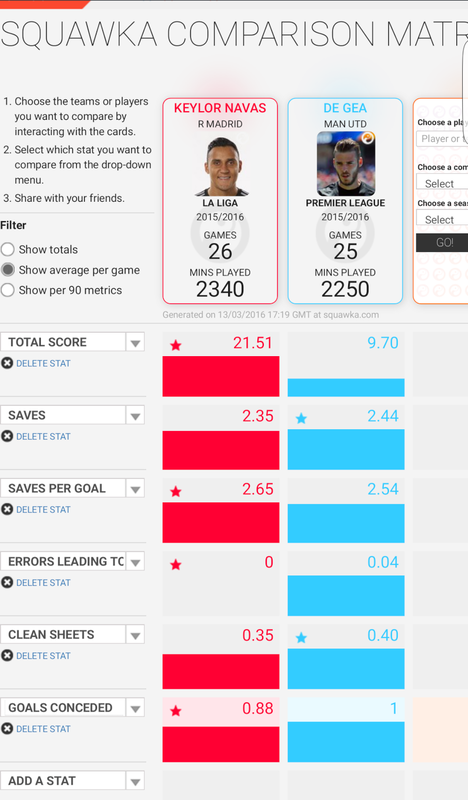 De Gea is amongst the best, Navas while good id not elite. It's happening regardless of what Zidane said or not. By the way he was also quoted as saying he didn't know if he will be the coach next year! N'Golo Kante of Leicester would be a really really good pick up and he wouldn't cost a fortune either... although since it's BPL, it will probably still be 30 mil euros. Well worth it imo.